Here is a new report on some of the mountain horses from Ginger. Sounds like it is another typical winter with some changes going on. I wish she had seen Baja and band. Thanks Ginger. Click on TCF to go to that link. I thought for a moment you were rubbing elbows with Ginger! 😉 Happy New year! HA! Thanks Julie! Just keeping up with the news of the herd! Happy New Year to you also! Sandy, thank you for the TCF link. News of the horses is welcome from all sources and we appreciate it. Thanks for the update. The TCF names always confuse me. I’m guessing “Casper” is Cappuccino? You are welcome Michael. Yes, having more than one name for the horses is confusing. Yes, Casper is Cappuccino! It would be great if someone see Baja’s band! I do enjoy seeing the stallions that have a good resect with each other and their bands can be in close proximity without a lot of drama. Like how Cloud and Diamond’s band were literally intermingled around both stallions. I love when the brothers decide to hang out by each other. I also do find it amusing though when they decided to “bicker” and push each other’s buttons since they know how to do it so well! I think part of the reason changes can sometimes be more evident in the winter than in the warmer months is because usually bands are either close together or far apart. Where if there’s some intermingling and a mare ends up with a different band as they move off, it is probably going to be a longer period of time before the bands are in proximity again. Grumpy Grulla sure is looking fantastic! Mica/ Mato Ska and Encore are looking all adorable and fluffy 🙂 Some of those pictures where the sun is shining on Encore she is seriously glowing! Interesting that Aztec and Jasmine are with Cappuccino, at least for the time being. Also on the note about Mato’s leg… was it you or Lori that saw him limping when he was still pretty young? I was wondering if it was that same leg, the back right. Have you noticed him limping/ walking weird when you’ve seen him at other times? That was Lori. I am not sure what leg it was, I will email and ask Lori. I have never noticed him limping, but neither have I seen him running around. All of the times I have seen him, he was just standing or walking, and most of those times it was from a distance. I know Anh spent some time with them this summer, I will also email and ask her if she noticed anything. Thanks Sandy for the update and for the link to TCF trip on the Pryor’s. I will have to go back into my pictures and see which leg it was that Mato had injured in someway. I am thinking it was his left leg though. The horses look great, and we got about 6 inches of new snow yesterday, so I think it will be a good year for the horses and the range with all of this moisture. Thanks for the weather report, I was wondering how much you guys got! Yep, you bet Sandy! I will have to get out to the range sometime soon and get some pictures of whoever I can find and of the snow!! I will for sure share. Next week is good for me as I am not working most of the week! I am anxious to get out there…weather permitting of course. Yes, and lets not forget Seattle who had a terrible injury but managed to have a band, offspring, and still surviving!! These are tough horses!! Yes, it was the right leg. I had a short little video that I had taken that day and it was his right leg or hip. I have not seen him in a long time and so I did not realize that he still had a problem with it. That is too bad, but he seems to have survived last winter and is so far surviving this winter. He is strong and must have learned to live with this disability, just as humans do. Thank you Lori!! 🙂 But I agree with Lori, it is too bad, but there are other horses that have had injuries and have healed and doing just fine. Lariat and Hernando are two that come to mind. These wild ones will survive many things that domestic horses could not. I think Sitting Bull has always been that way. It is his wild nature when he is caught off guard. Oh, and on the note about Lariat. I remember asking you at somepoint late last summer or early fall about the way Lariat moves, if her gait is different than what would be normal. You said you hadn’t paid attention to that when her band was running/ moving around, but would try to remember to pay attention in the future. Just wondering if you ever got the chance to look at that? Hi Sarah, She seems fine. No noticeable limp. Hailstorm is a smoky blue roan, right? I was also wondering what Firestorm’s colour would be classified as, I find her so unusual! Halycon is unusual too in her points, they’re not as defined as on the classic roan, (Ireland is kind of like this too) is there a specific genetic reason for this? Also, are there any red duns on the mountain? I can’t think of any and I was wondering if this happened to just be by chance that none of the horses on the mountain are red dun. I think Kierra’s colour is really beautiful,I believe she’s a smoky black? I was wondering if there are any horses left in the Pryors that are also smoky black? Thanks and sorry for the multitude of questions! As far as Firestorm goes she seems almost to have the silver gene, but this gene isn’t present in the herd, is it? I am not sure about that. But the colt Missoula has a very silvery mane too. I am no color expert. I am just happy to know what color they are when I see them and can identify them. So, that being said, this is what I have those horses that you are asking about listed as. I can tell you this regarding the roans (I have a Pryor who is a grullo roan) They change colors all year long. Nova (but she was just born in 2013, so that may change, although she certainly looks like it). Yes, Kierra was considered a smokey black. As of right now, there are no others on the mountain that I know of. But again, I am no color expert. I believe you could contact the Billings, BLM office and request information. I have a link to them on the right side of this blog under my blogs and websites. Kierra really is so pretty, hopefully we can get another foal like her this year (it’s possible from a Cloud or Bolder foal I believe?) at least I he someone will have a smoky black! Nova’s super cute (like them all 🙂 ) I looked her up after you mentioned her, thanks again for the info! I have also heard Hailstorm refered to as a smoky blue roan. I loved breeze (Kierra) too! I’d love to see another Smoky black. And yes, it is possible for a smoky black from both Cloud and Bolder. Bolder’s 2010 colt with Sapo was a smoky black too. His name was Klamath and he was removed in the 2012 gather. If Hailstorm is a smoky blue roan it’s also possible for her to produce a smoky black. Firestorm and Halcyon are definitely an interesting color. And as they’ve grown older they’ve continued to get more gray/ silvery. Firestorm especially used to be a lot more red than she is now. I’ve heard them sometimes referred to as a “sandy” red roan. I don’t know if that’s an official color or not, I think it may just be a way to try to describe that unique shade they have. It will be interesting to watch as they continue to live their lives how their color may continue to change. And whether or not that trait may be passed along to any red roan offspring they may have. I would need to check on the exact post, but I remember reading on the Mustang Center blog that Firestorm is a variation of bay roan, but for identification purposes she’s usually just referred to as sorrel roan. When I asked TCF this summer about the amount of red duns and sorrels on the Mountain top they mentioned that at one point the BLM was not managing for all colors. Meaning they kept duns and grullos on the range, but removed other colors.You may want to check with TCF for the specifics, although the BLM is a good place to start too. That’s really interesting about them removing more of the chestnuts and red duns, I’ve always wondered at the seemingly extreme lack of “redheads”! If you find that post about Firestorm would you mind posting a link? I’ll look for it too, I’m very curious about her colouring! Ember (her daughter) is a pretty light “wild” bay roan, was it something along those lines? Although in the pictures I’ve seen of Firestorm as a foal (if they are indeed of her) she’s definitely a bright chestnut colour so I would think her base colour is chestnut? Ember was bay as a foal I believe. 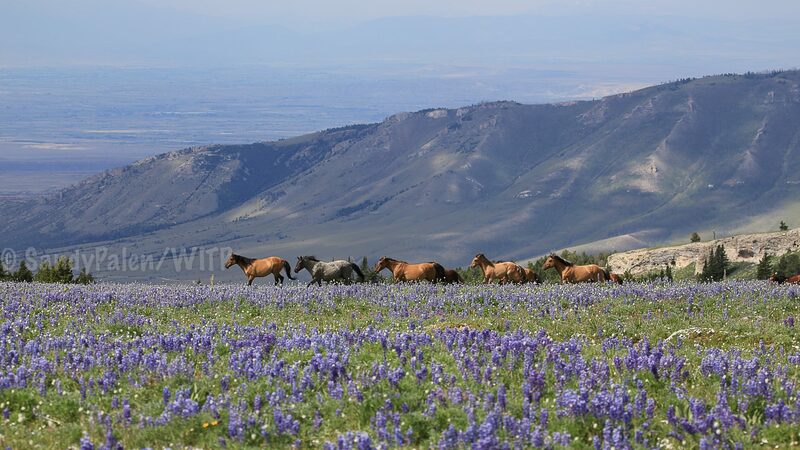 “GAO found that the BLM had not reduced livestock grazing or engaged in range management activities to improve the carrying capacity of the land. My mistake, must have remembered. There is a link to the Center on the right hand side of this blog post. I don’t know about a specific email address, but I believe they have a contact section on the Mustang Center website. Missoula and Madonna are so striking with their flaxen manes, I wonder if the “silveryness” in Missoula’s mane will stay within the regular parameters of a flaxen chesnut or if there is some other genetic factor at work? There are so many shades of all the horses’ colours, it’s fascinating to observe! Yes, you are correct about Klamath also being known as Absaroka.